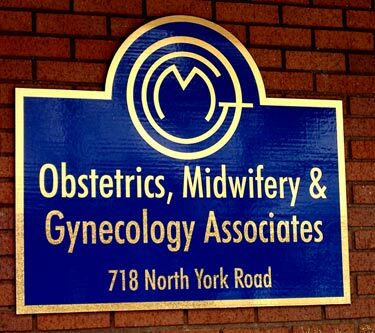 They say "a business with no sign is a sign of no business". This is so true. 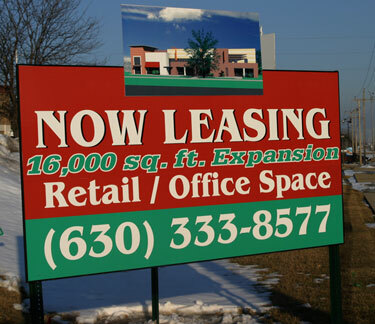 We offer the full gamut of signs from simple real estate yard signs to large multi-tenant pylon signs. 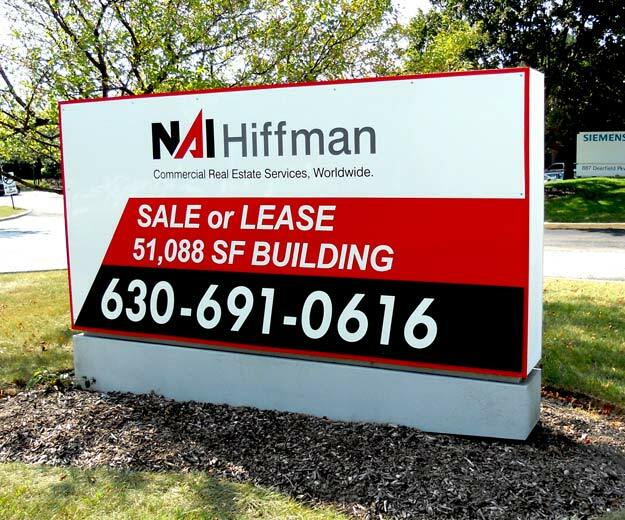 We have over 35 year of marketing experience to help guide you through the process of deciding which type of signage is the best choice for your specific application. Below is just very small snapshot of some of the different types of products & materials we work with. 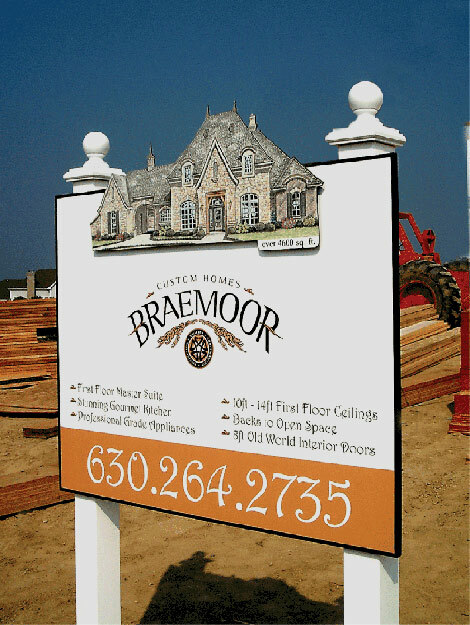 This real estate sign is more elegant for this upscale home that was under construction. The treated lumber posts are covered with PVC sleeves for a long-term attractive look. 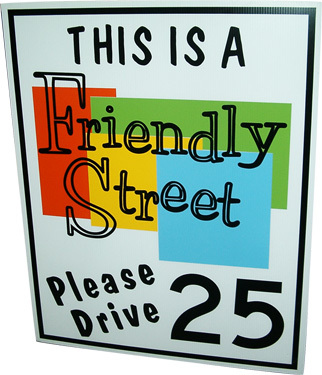 the sign face features a cut out & raised rendering of the home. HDU caps & finials finish off the sign. 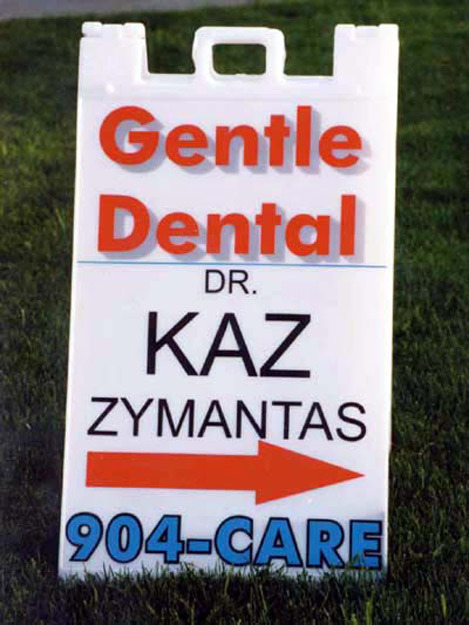 Two sign faces were added to the sides of an existing pylon sign for a clean look. A very stylish sign that matches the theme of this restaurant. 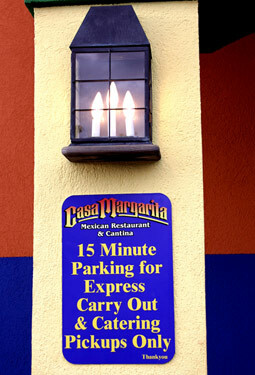 This sign features a rendering of the proposed building projecting above the main sign. People take a second look when there is an additional add-on. Omegaboard was cut to shape decorated & special hinge/handle & feet make this an eye catching sign. 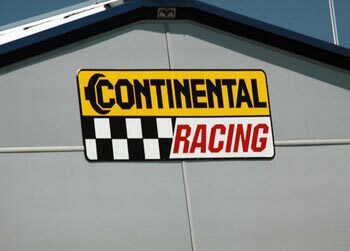 Dibond with vinyl graphics easily identify this race shop as it was mounted above the 2nd story in the roof's peak. This is your standard steel angle iron real estate sign. 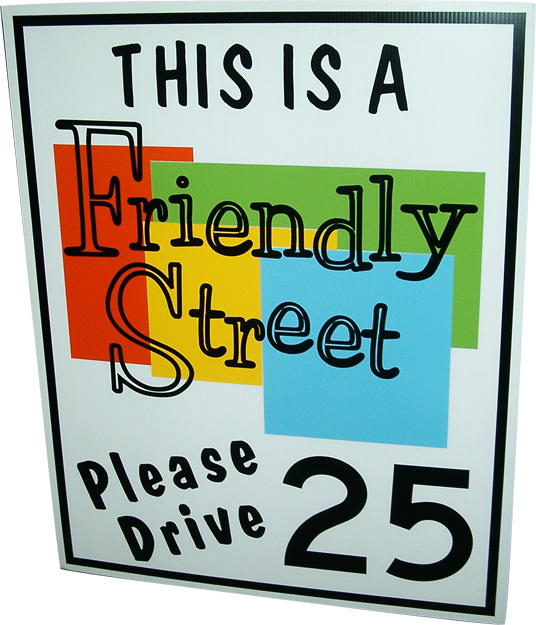 These come in 18" x 24" or larger 24" x 36" and can be one sided or two. The insert panel is aluminum & will last many years. 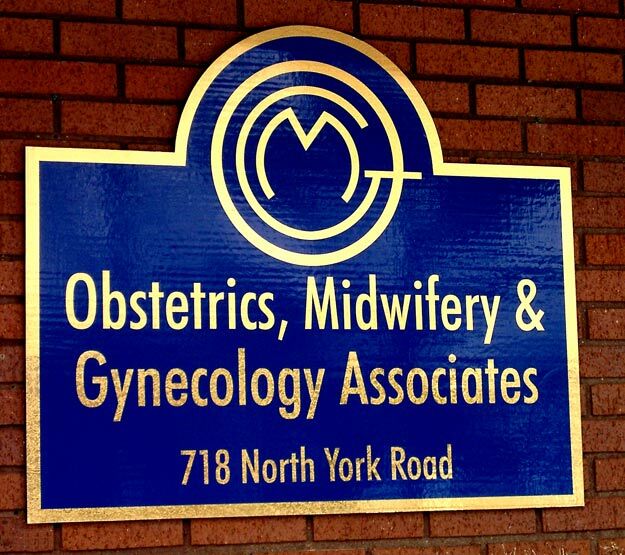 We have made many runs of these signs with several hundred in each run. These are 5 colors & 2-sided. 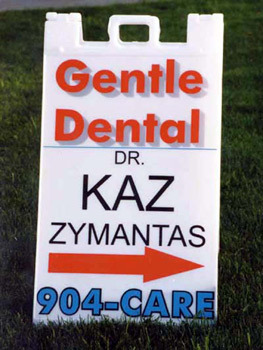 This temporary sign is called a Signacade. 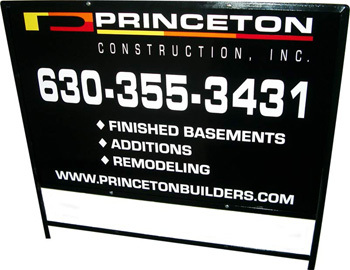 Made of a tough, durable polypropylene, originally designed for highway construction signs. They come in 3 sizes & either white or yellow colors, they can be balasted with sand via holes in the top to prevent blowing over. 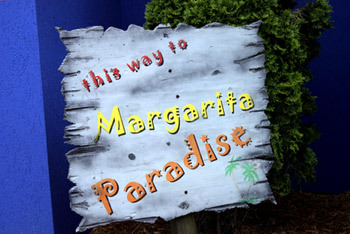 The can be made 1 or 2 sided. 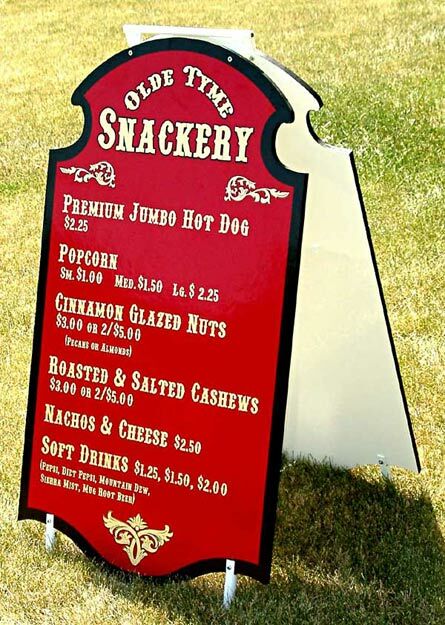 This is a whimsical sign made from 11/2" thick western red cedar that we distressed & faux finished to simulate a piece of driftwood. 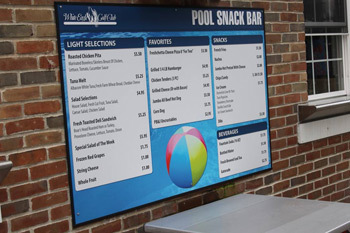 The snack bar menu is digitally printed on Dibond(2 sheets of aluminum with a polymer core for strength. Completely weatherproof for years. 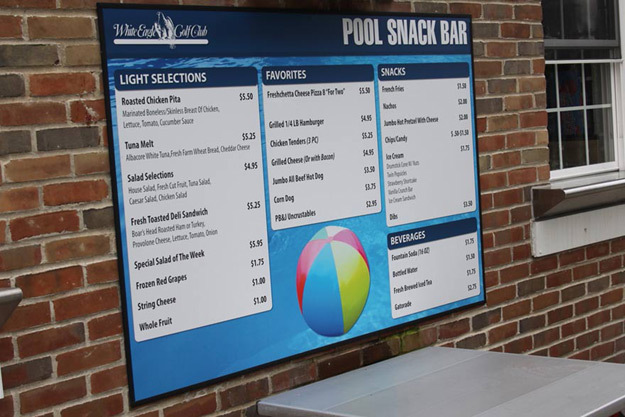 Omegaboard(exterior plywood with a smooth, poured on vinyl coating has navy vinyl on it then 22KT SignGold was added for all the graphics.